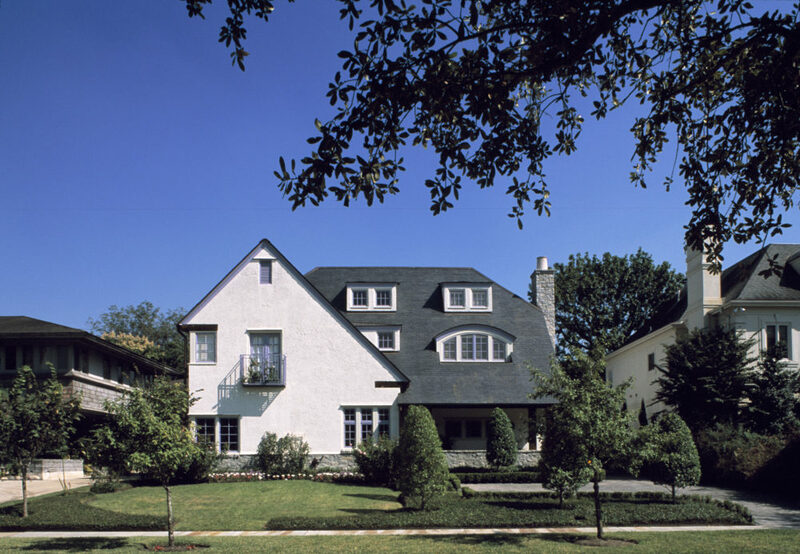 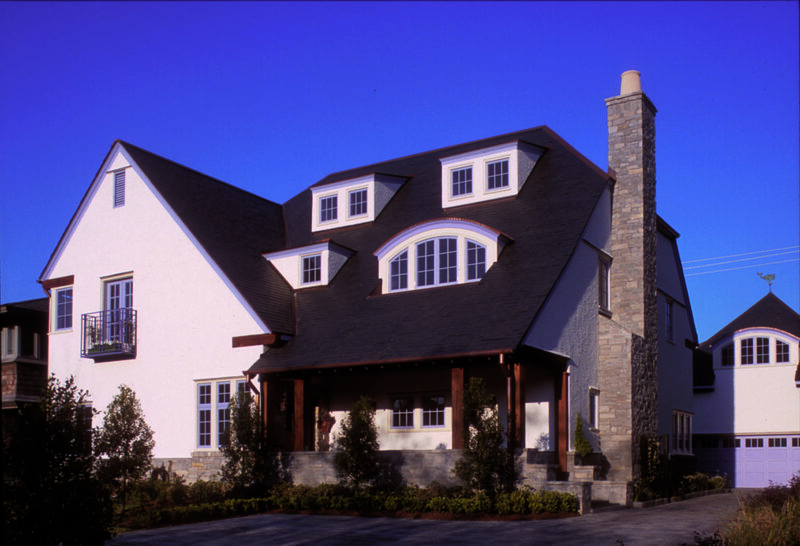 Our client requested a residence that conveys the warmth, comfort, and intimate scale of the nineteenth century English Arts and Crafts movement while providing the conveniences and technologies of the twenty-first century. 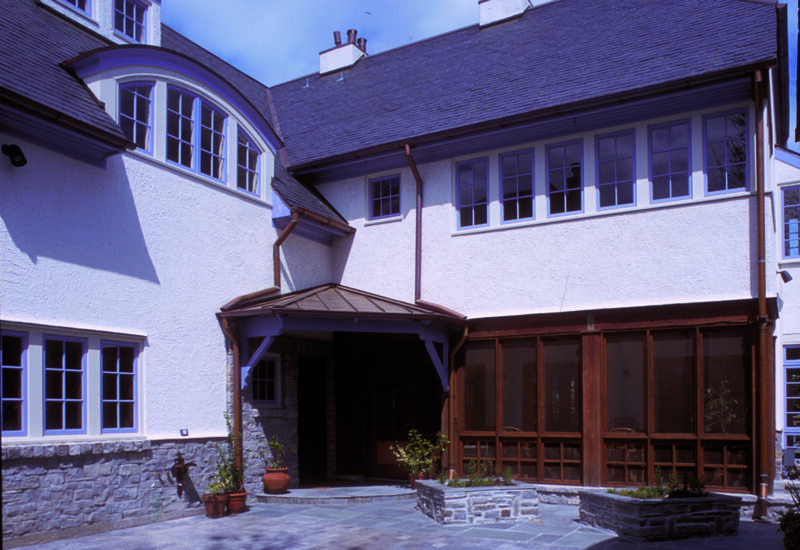 The exterior of the 2 1/2-story home and 2-story garage is finished in plaster and stone with casement windows, exposed wood beams, and a slate and copper roof. 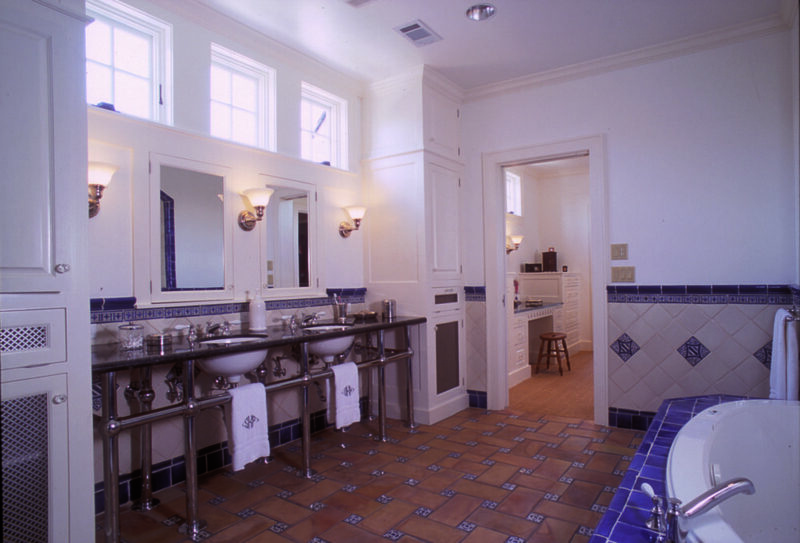 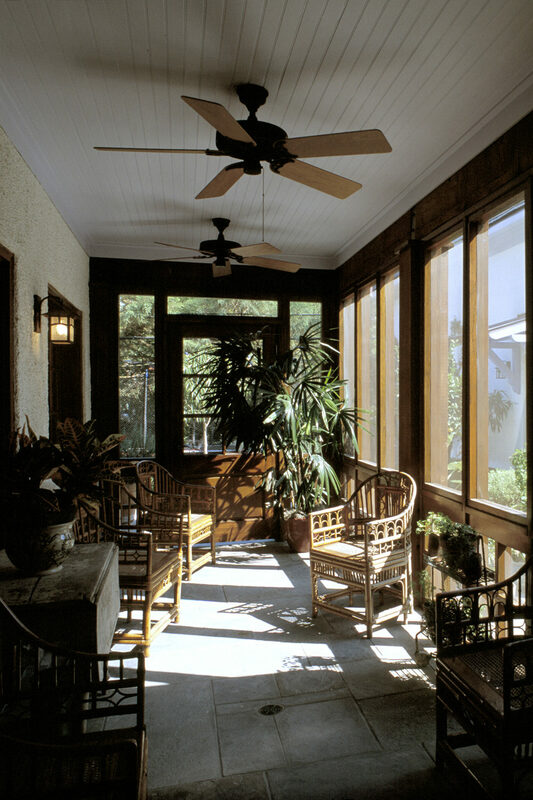 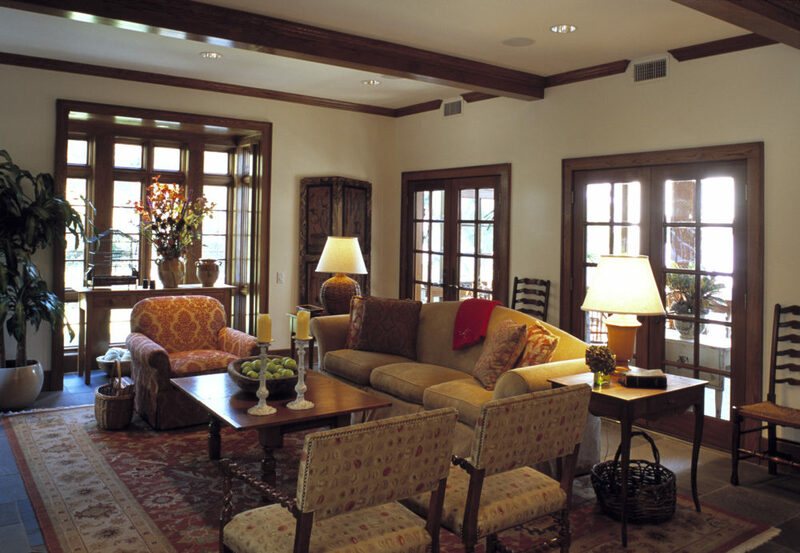 Interior finishes include flagstone, wide plank oak flooring, stained oak wainscoting, and ceramic tile. 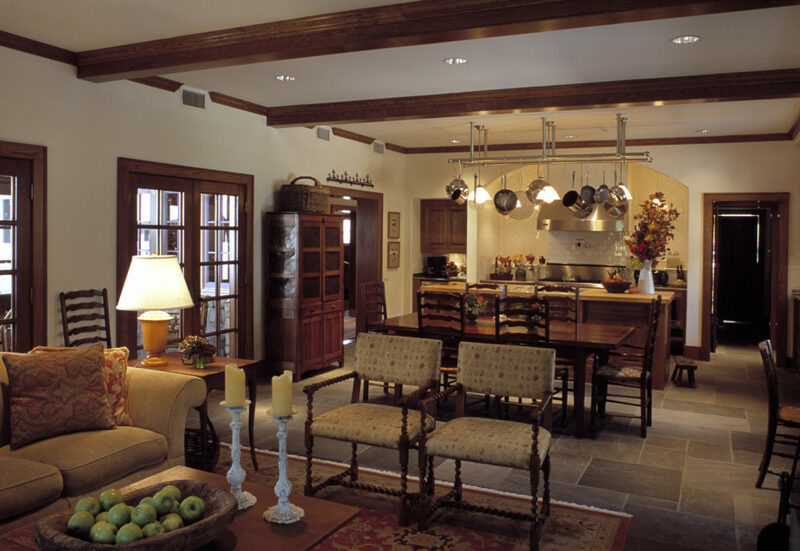 The house is organized along an entrance hall that extends from the front door to the kitchen and great room, which are oriented towards the rear garden. 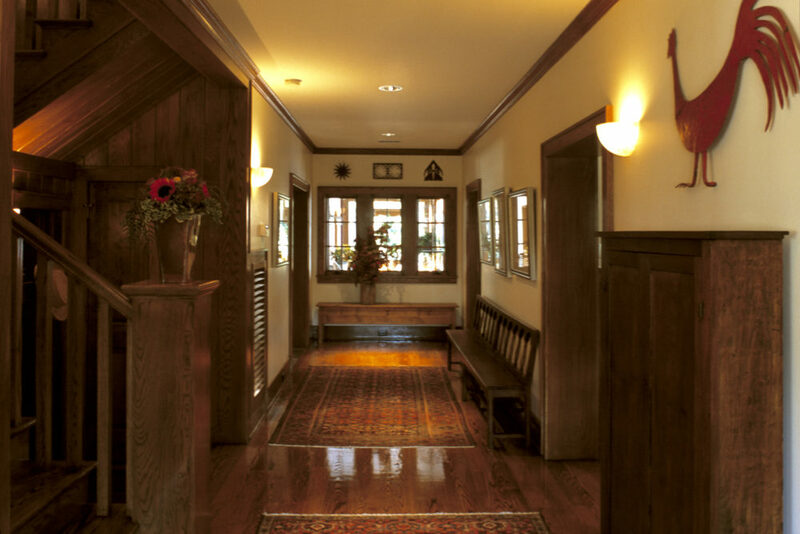 A stair hall connects the entrance hall to the upstairs bedroom floor and children’s playroom located within the attic of the structure. 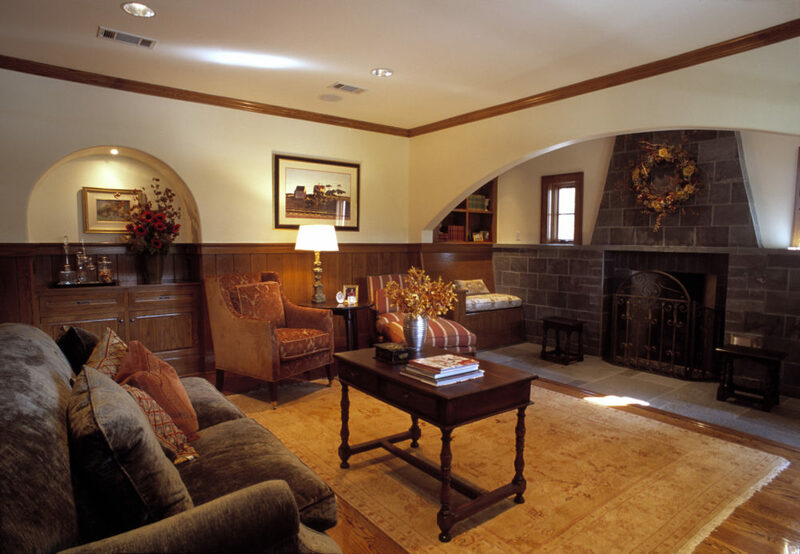 Three hearths provide focal points in the house: the living room inglenook, the great room fireplace, and a kitchen hearth.